WOW – It was a night PACKED with information!!! Anne Roland Lee, Director of Nutritional Services at Schar USA, filled our brains with so much to think about! She started her talk with a slide showing that eating gluten-free isn’t the healthiest way to eat. Matter of fact, she noted that people on a g.f. diet end up gaining about 22 lbs. and are usually deficient in fiber, vitamin B or iron. This is because wheat products are fortified with some form of these vitamins and minerals, compared with the g.f. products, which are not required to be fortified. Not to mention, most g.f. products are high in fat and sugar. Her suggestion was to incorporate some alternative grains into your diet. Grains like, buckwheat, quinoa, millet and teff were great examples of grains that are packed full of iron, fiber, B’s and protein. Compared to rice, potato and corn, they contain more nutrients and fiber and contain a lower glycemic index. Schar is VERY concerned about cross-contamination and go to great lengths to prevent it in their factories. Since it only takes 50 mg (1/8 tsp.) to trigger an auto immune reaction to celiac sufferers (that’s 1/2 of a cruton or 1/4 of a holy communion), Schar will quarantine their outside ingredients to allow them to be tested over a period of time to ensure their products maintain less than 20 ppm (parts per million) of gluten. AMAZING! Schar has set the bar high for other manufacturers. They built a state of the art facility in New Jersey that is a designated gluten-free facility. Anne did mention that other stores brands are very good as well (Wegman’s & Trader Joe’s specifically). I felt better knowing that Schar consulted for them while they were developing their gluten-free lines. My head will be “spinning” all night thinking of what new grains I can try in my recipes! 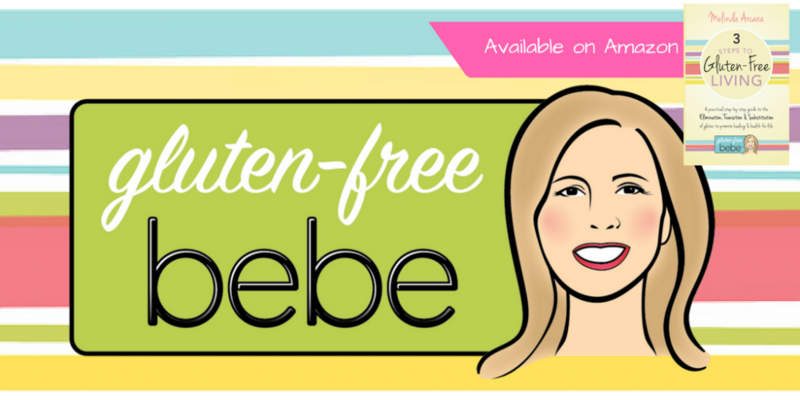 This entry was posted in Health Information by Gluten-Free Bebe. Bookmark the permalink.